Vietnam is home to many incredible wonders, both natural and manmade. Full of exciting activities to participate in and a plethora of things to do stemming from the modern age. However, no trip to Vietnam would be complete without visiting the country’s myriad fascinating historical landmarks. From temples to palaces, from tombs to citadels, there is so much to appreciate and the attractions all help to paint a vivid image of Vietnam’s absorbing history. To help you discover the historical sites of Vietnam, we have put together the below infographic which highlights some of the very best locations to visit and why they are such wonderful historic marvels. We think that you’ll agree the sites included will demand a visit on your next holiday adventure to Vietnam! As you can see from the above infographic, there are some truly magnificent historical sites to visit in Vietnam and they certainly shouldn’t be missed during your next trip. For some written information on these incredible landmarks, please read on! This temple is the oldest of its kind in Hanoi (the capital of Vietnam). Tran Quoc Pagoda is a Buddhist shrine that dates back to the reign of Emperor Ly Nam De (544 – 548). 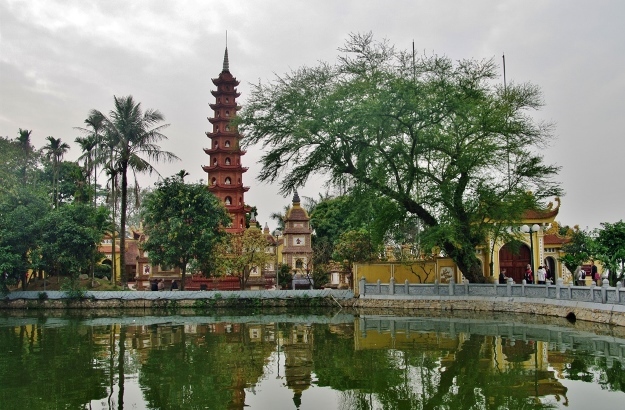 Tran Quoc Pagoda is 15 metres tall and contains 11 levels. There is also a museum in the surrounding area that houses historical artefacts. 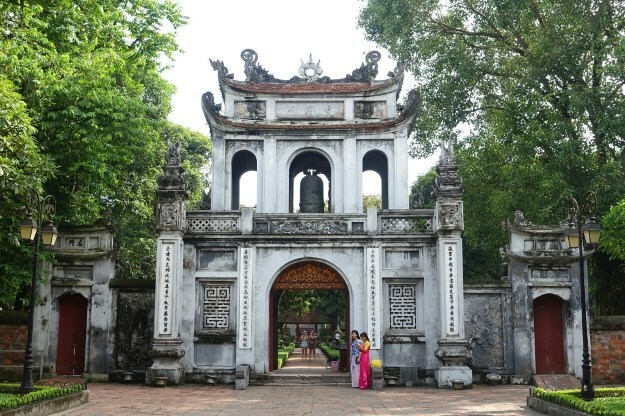 The Temple of Literature is one of Hanoi’s most picturesque attractions and a fascinating historical site. Built in 1070 with its traditional Vietnamese architecture, the temple was designed to honour Confucius and is today home to Vietnam’s first national university. Built at the time of Emperor Ly Thanh Tong, the temple is home to many of the country’s rarest architecture and honours Vietnam’s most eminent scholars. While Khai Dinh Tomb was only completed in the early 20th century, this fascinating Nguyen dynasty site is a visually impressive and elaborate construction. Taking over 11 years to complete, finishing in 1931, it was built for Khai Dinh, the twelfth Emperor of the Nguyen dynasty. Blending Western and Eastern architecture, this fascinating tomb acts today as a monument to the former Emperor’s affluent lifestyle. Situated in the Huong Son Mountains, about 60km south of Hanoi, Perfume Pagoda is an incredibly eye-catching temple, steeped in drama and thought to have been built during the 15th century. This complex of Buddhist temples is built into the mountain range and surrounded by dense forests. The site of a religious festival, legend claims that the area now known as Perfume Pagoda was discovered more than 2000 years ago by a meditating monk. 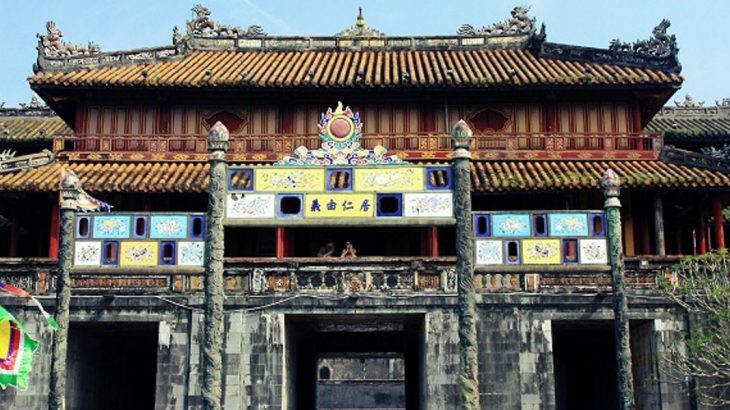 Constructed in 1804, Hue Imperial Citadel was the home of the Nguyen Dynasty, who reigned for 143 years as Vietnam’s last royal dynasty. Severely damaged under French rule during the Vietnam War, today Hue Imperial Citadel has 20 out of 148 original buildings left standing. The complex is incredibly striking and includes wonderful architecture such as the Emperor’s residence, gates, temples, and pagodas. The above are just some of the incredible historical gems to be found in Vietnam, but there are so many more that must be mentioned. To help you discover some of what else this incredible country has to offer (and to reveal more about some of those already mentioned), we have enlisted the help of those who know the country well and that have a great passion for helping travellers explore its wonders. “Vietnam is a country rich in history, both ancient and modern. Yet rarely do you find a site like the Huyen Tran Princess Temple that combines the best of both. “Huyen Tran was the daughter of King Tran Nhan Tong, ruler of northern Vietnam in the 13th century. In a tale worthy of the big-screen, Huyen found herself married to a king – securing the lands around Hue for her father – then widowed only months later, and almost finding herself on the funeral pyre before being rescued, sailing up the Vietnamese coast to safety. “Legend has it that a temple was raised in Huyen Tran’s honour south of Hue, yet, as is so often the case in a war-torn country like Vietnam, it was lost to the ravages of time. Fortunately, memories of the princess’s sacrifice live on, and in 2006 the Huyen Tran Princess Temple was built. 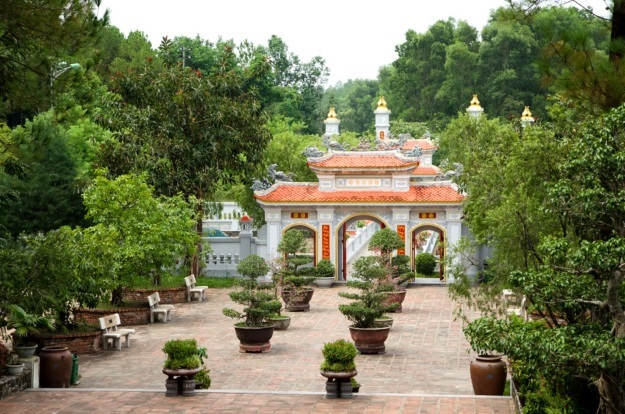 “Only 7km south of Hue, the Huyen Tran Princess Temple is a sprawling collection of gardens, temples, sculptures and walking trails that showcase the very best aspects of Ngu Phong Mountain. “The short walk through the pine forests to its peak is rewarding, not only providing sweeping views of Hue but also giving you the opportunity to ring the large bronze Hoa Binh ‘Peace’ bell at the summit under the watchful gaze of the resident monk. “At VND30,000 ($1), the cost of entry is both minimal and only a fraction of what you would pay elsewhere in the region for an attraction as stunning as this. And even more unusual is how few tourists know of this incredible attraction – at times you’ll likely have the place to yourself. 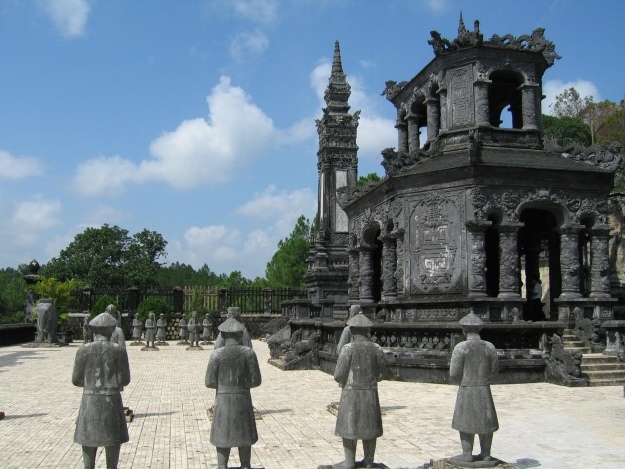 “Vietnam is full of historical sites throughout the country. Some are from the more recent past, but others date back centuries. 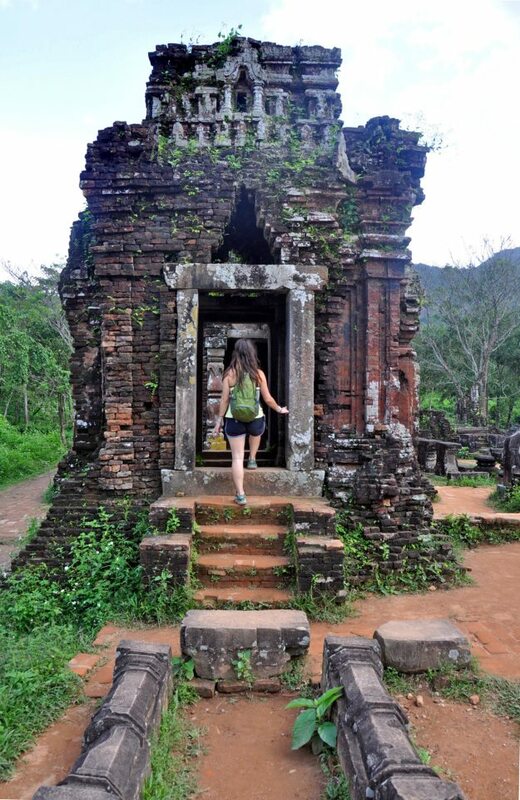 Our favourite historical site in Vietnam is the temples of Mỹ Sơn. Just an hour drive west from the port city of Hoi An, visiting the Mỹ Sơn temples is an easy day trip by motorbike. This UNESCO World Heritage site has clusters of Hindu temple ruins that you can freely walk around, some dating back to the 4th century. Book an escorted tour of Vietnam with the UK’s leading Asia Experts, Wendy Wu Tours. Our fully inclusive tours visit all the major sights of the region for an unforgettable holiday. Vietnam adventure, culture, history, sightseeing, top things to see, unesco heritage site. permalink.